The web can be an ugly place. Sites with useful information can also be cluttered with sidebars, advertisements, and popups asking you to subscribe to a newsletter. That’s what makes Safari’s Reader View so nice. 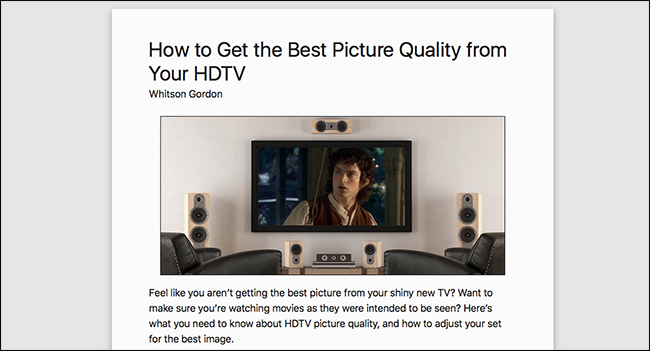 This feature extracts all the text and images from any page, then slides over whatever you’re reading with only those things. 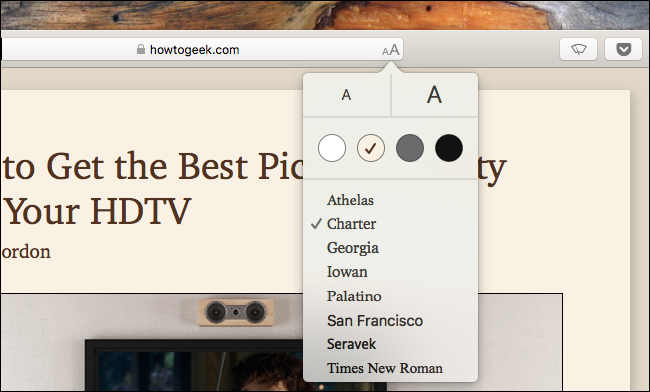 It’s a quick way to read anything without the clutter, and you can even customize the colors and fonts. It works on iPhones, iPads, and Macs. If you’re on a page with an article on it in the Safari app, you’ll see the below button appear in Safari’s address bar. 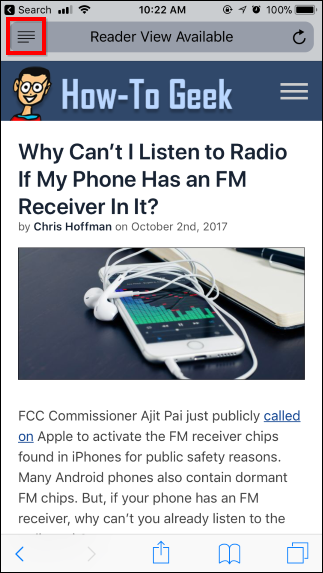 Tap it to open Reader View. 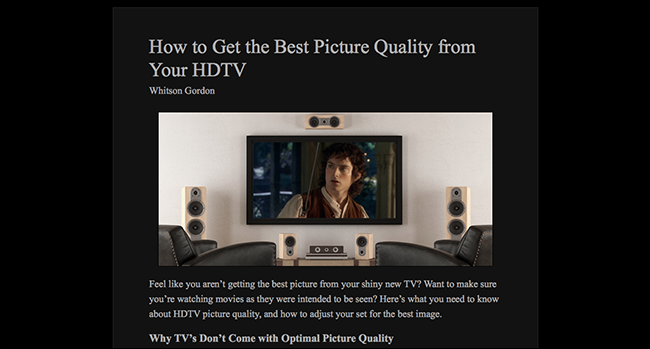 This won’t make a big difference on How-To Geek, as we’ve tried to make our mobile website as clean and readable as possible, but it can be a big help on more cluttered websites. You can long-press the button instead if you want to automatically enable Reader View on websites of your choice. 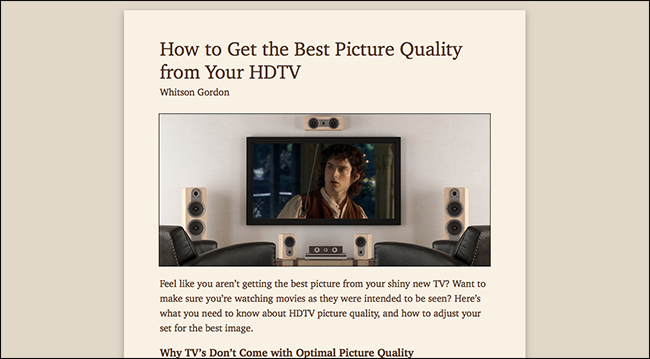 You can customize Reader View to make things easier to read, too. 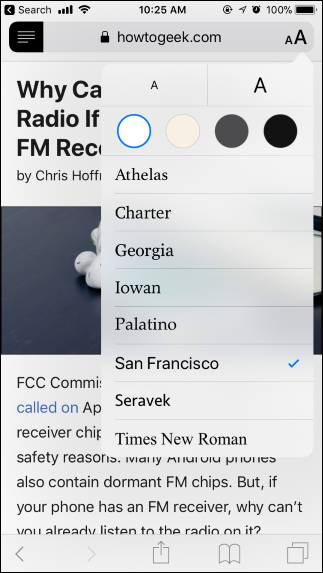 While in Reader View, tap the button at the right side of Safari’s address bar. It looks like a smaller capital A to the left of a larger capital A. 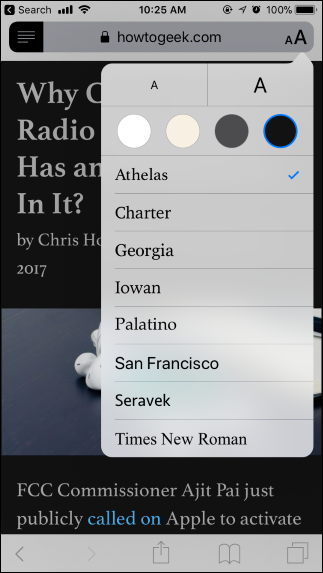 The buttons in the menu allow you to increase or decrease the font size, change the color of the page (for example, you can enable white text on a black background by tapping the black dot), and choose the font the article appears in. 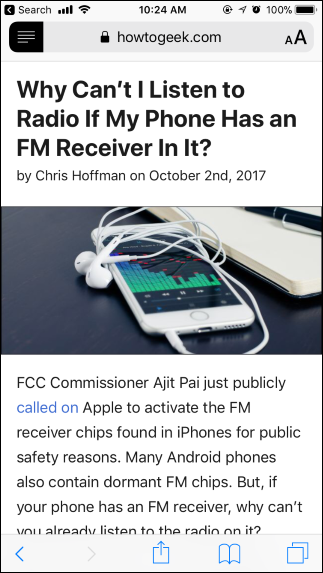 Click that button and Reader View will instantly pop up with the article and only the article. The keyboard shortcut Command+Shift+R also works. Now you can read without distractions. If you’re not sold on the color scheme or font, you click the “Aa” icon in the right side of the address bar. The top two buttons, with different size A’s, lets you bump the font size up and down. The four boxes below that let you choose the background color. Finally, you can choose a font. …to my personal preference, a more natural look. It’s really up to you, and it’s nice to have choices. Until relatively recently it wasn’t possible to change this at all without third-party extensions, but this is a lot easier. I love the Reader View for all sorts of reasons, but it’s also nice in that it’s a nice compromise in the ad-blocking debate. I’ve written for sites where I wasn’t allowed to even mention ad blockers, so concerned was management about potentially losing revenue. And you know what? That’s not necessarily unfair. But it’s also not unfair to say that the current advertising ecosystem is making the web a much less friendly place. Too many sites are an absolute mess for readers to get through, so I understand why users turn to ad blockers. Safari’s Reader View offers a compromise. It doesn’t block ads: you still see them when you first open a page, and the sites you read still get paid. But if you want a quiet space to read, free from distractions, you can have that in just one click. And unlike with ad blockers, you can use whatever font and color you like. Everyone wins.